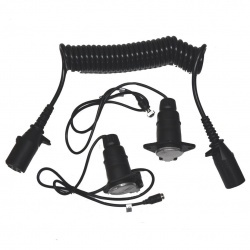 One of the main problems of wiring a camera on a caravan or trailer is getting past the tow hitch. Wireless cameras have their problems and generally do not work in this situation. Up to now there has been no satisfactory solution of crossing the gap of the tow hitch. 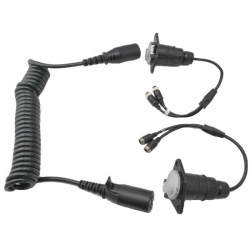 This plug and socket is small in size and the socket has a cover to provide waterproofing. 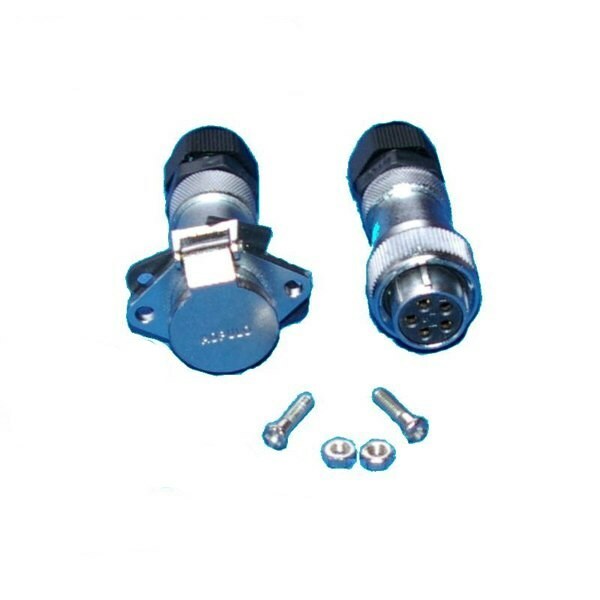 It is like a small version of the supplementary socket that has been specially made for reversing cameras. 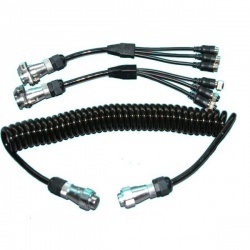 We offer a free service to wire this on to any of our 4 pin cables to create a trailer lead. 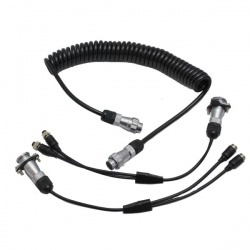 It can take up to 48 hours to produce this cable. 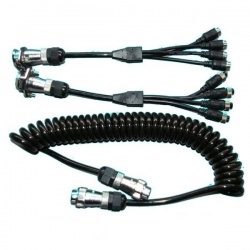 If you measure the cable lengths you require and notify us then we will do the rest. 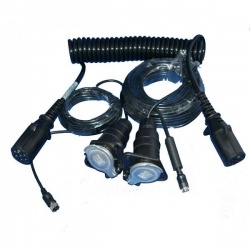 We have cables of 5m, 10m, 12.5m, 15m and 20m. It is always wise to leave room for error.